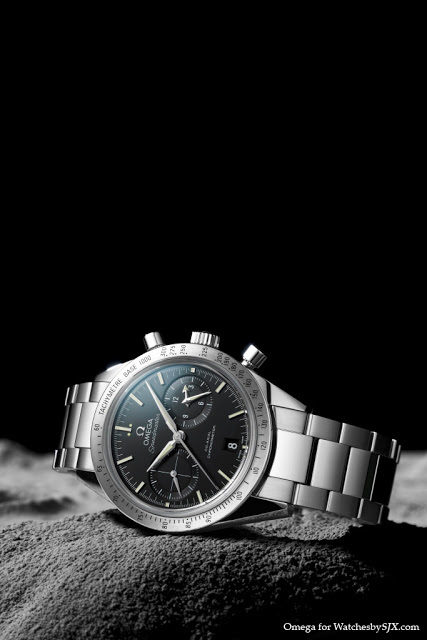 Omega has just announced its Baselworld 2013 collection, which as usual includes extensions to all of its lines. 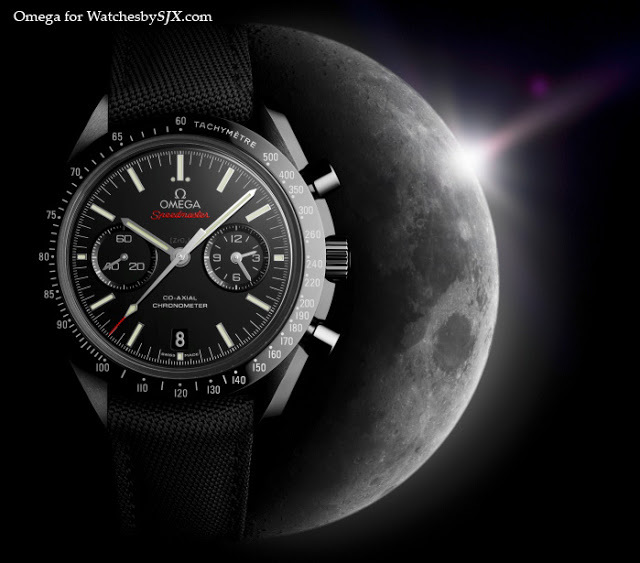 Here are some highlights, including the Speedmaster in black ceramic. Several new Speedmasters were presented at Baselworld, but the Speedmaster in black ceramic “Dark Side of the Moon” will certainly garner the most attention. This has a 44.25 mm black ceramic case with brushed and polished surfaces, just like the steel version, with a polished black ceramic bezel. The dial is also black ceramic, with white gold hands and indices. Inside is the cal. 9300 with silicon hairspring and co-axial hour and minute counters. And the case back is engraved “Dark Side of the Moon”. The strap is black Cordura fabric with a matching ceramic buckle. The same movement is used in the Speedmaster ’57 Co-Axial Chronograph. 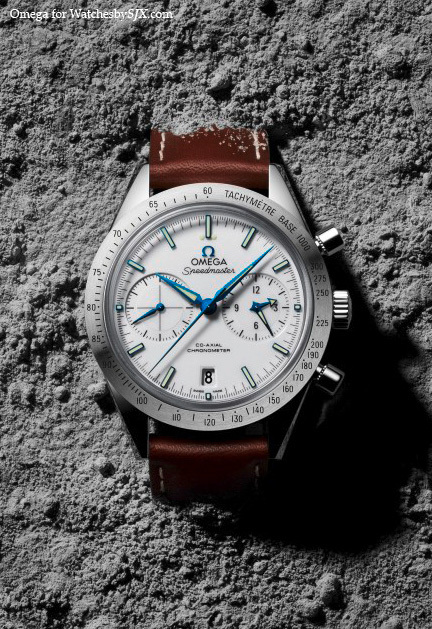 Inspired by the original Speedmaster of 1957, this has a 41.5 mm case available in steel, gold and titanium. The titanium model has a white dial with blued steel hands and indices. 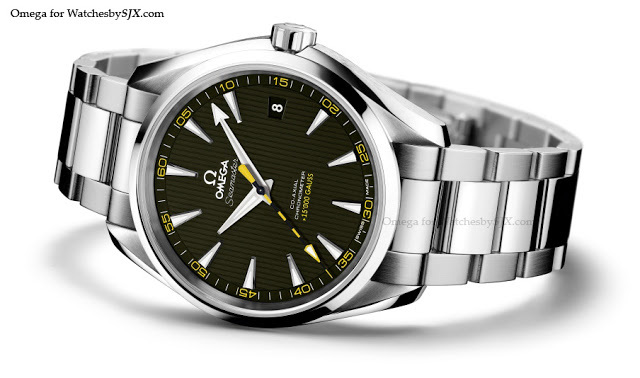 Several new Seamaster models were introduced, but the most notable is the Seamaster Aquaterra 15,000 Gauss. Inside is the antimagnetic cal. 8508 which was announced a few months ago, and uses an uncommon approach to ensuring the escapement is magnetism resistant. 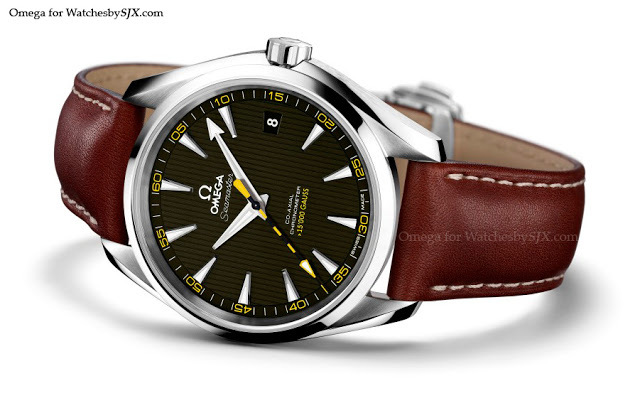 Unlike most watches which have soft iron inner cages surrounding the movement, the Seamaster Aquaterra 15,000 Gauss uses non-ferrous alloys for certain movement components, giving it a higher degree of magnetism resistance than its competitors. This also means the movement itself is antimagnetic, so it can be viewed from the sapphire case back. The case steel is 41.5 mm and this is available on strap or bracelet. And the Planet Ocean line has grown to include the Seamaster Planet Ocean 600 m Good Planet. 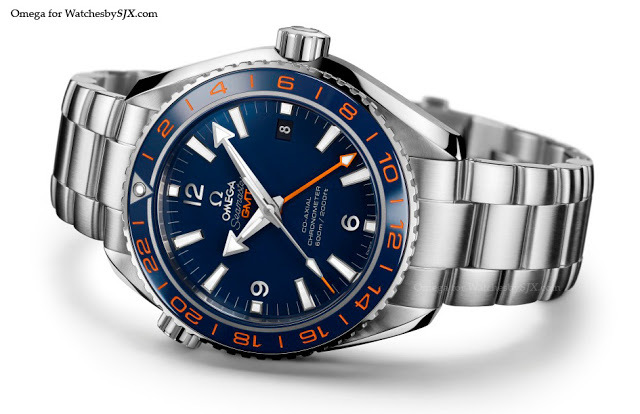 This has a 43.5 mm steel case, and is equipped with a second time zone GMT function.